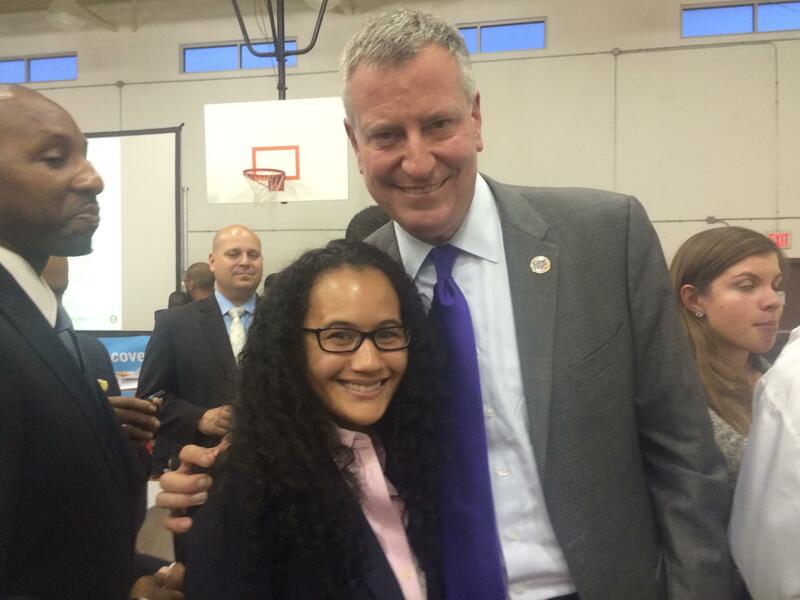 Here is the photo of my daughter Enerria with our illustrious mayor Bill DeBlasio. It was taken this past Wednesday at a job fair for those effected and still being affected by Hurricane Sandy who live out in Queens. Many employers, including my daughter, were there and DiBlasio made a surprise visit.